The Texas Tribune journalist Jim Malewitz covered the research of SMU geophysicists Zhong Lu, professor, Shuler-Foscue Chair, and Jin-Woo Kim research scientist, both in the Roy M. Huffington Department of Earth Sciences at SMU. 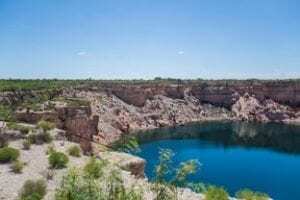 Malewitz's article, "Sinkhole Warnings Don't Faze West Texas," published July 12, 2016. KERA public radio news covered the research of SMU geophysicists Zhong Lu, professor, Shuler-Foscue Chair, and Jin-Woo Kim research scientist, both in the Roy M. Huffington Department of Earth Sciences at SMU. 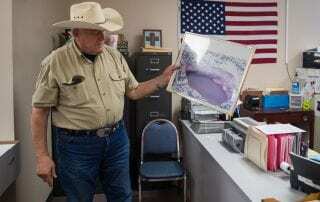 KERA's article, "Near Wink, Texas, The Sink Holes Are Getting Bigger And Bigger," published June 28, 2016. Online news site Seeker.com covered the research of SMU geophysicists Zhong Lu, professor, Shuler-Foscue Chair, and Jin-Woo Kim research scientist, both in the Roy M. Huffington Department of Earth Sciences at SMU. Seeker.com's article, "Giant Sinkholes Near Texas Oil Fields Are Growing," published June 16, 2016. 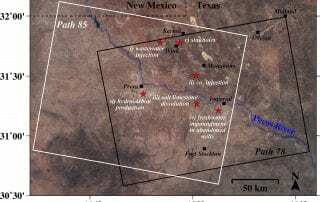 Fort Worth Star-Telegram journalist Tom Uhler covered the research of SMU geophysicists Zhong Lu, professor, Shuler-Foscue Chair, and Jin-Woo Kim research scientist, both in the Roy M. Huffington Department of Earth Sciences at SMU. 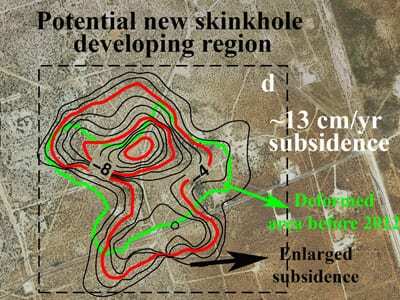 Uhler's article, "Two giant sinkholes in West Texas expanding, researchers say," published June 16, 2016. New York Daily News journalist Anthony Izaguirre covered the research of SMU geophysicists Zhong Lu, professor, Shuler-Foscue Chair, and Jin-Woo Kim research scientist, both in the Roy M. Huffington Department of Earth Sciences at SMU. Izaguirre's article, "Giant sinkholes in Texas are growing, may collide: study," published June 16, 2016.